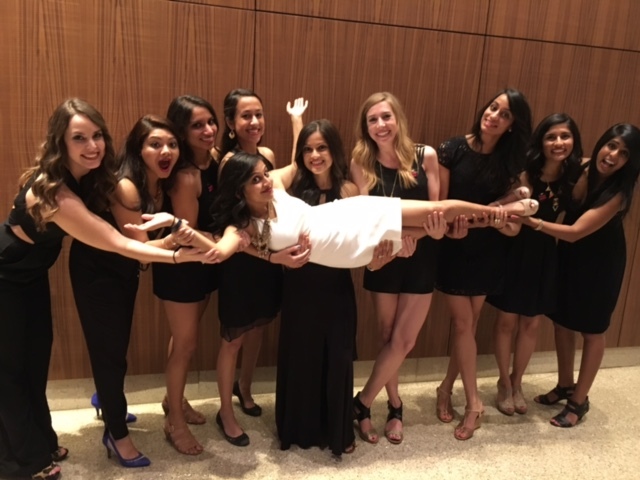 My sister’s bachelorette party weekend in Austin surpassed all expectations. It was truly epic! 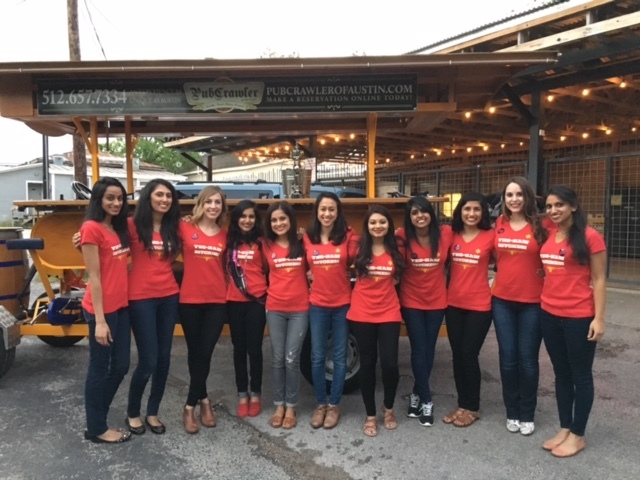 We explored different parts of Austin, tried lots of restaurants/types of food, and partied hard (maybe a little too hard!). All I really wanted was for Aekta to have the time of her life, and I think we can safely say that mission was accomplished! She spent an entire weekend with her best friends in an amazing city creating lifelong memories. I’d say her bachelorette party weekend was a true success! I often get questions about the cities I travel to, so for today’s post, I thought I’d share where we stayed, where we ate, and what we did. We stayed at the JW Marriott in downtown Austin. My best friend Roshni, who also came this weekend, helped me pick this hotel. I wanted something a little more upscale, and it definitely fit the bill! The hotel was beautiful, the service was impeccable, and the location was perfect. We were close to all the bars, lots of restaurants, and South Congress (a popular street with lots of food trucks and cute shops). I can’t recommend this hotel enough! Burro Cheese Kitchen – On Thursday, after we arrived at the hotel and dropped off our stuff, we walked down South Congress to grab some lunch. When we came across this food truck, a few of us decided to share some grilled cheese sandwiches. Roshni and I shared a sourdough, cheddar, gouda, and balsamic apricot fig sandwich. It was divine! Torchy’s Tacos (both S 1st St and South Congress) – This was my third trip to Austin and also my third time eating at Torchy’s Tacos (first trip to Austin and second trip to Austin). They seriously make the BEST tacos in the world. The flavors just come together perfectly. This is a must try little place! Gourdough’s – We ate here for lunch on Friday, and the food truly hit the spot. There are essentially two menus – savory and sweet. The savory menu is full of unique salads, sandwiches, and burgers, while the sweet menu is full of donuts. And not just any donuts. Fancy and unique donuts. 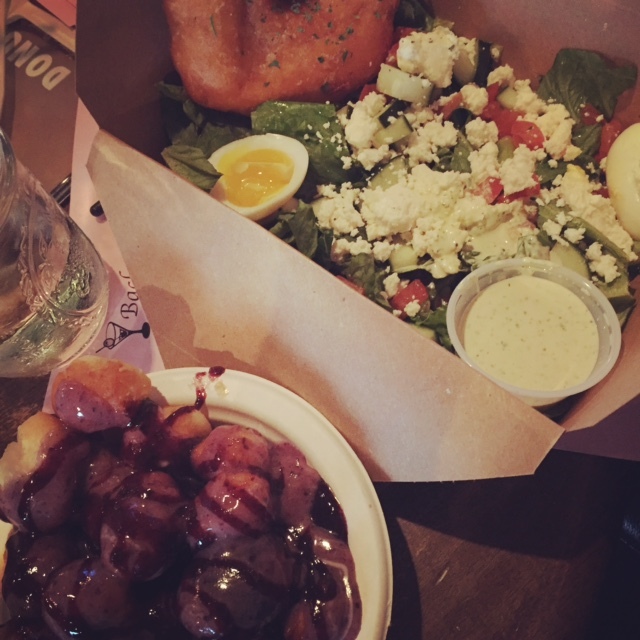 Roshni and I once again shared a few different things – a salad and two kinds of donuts! It’s all about that balance. 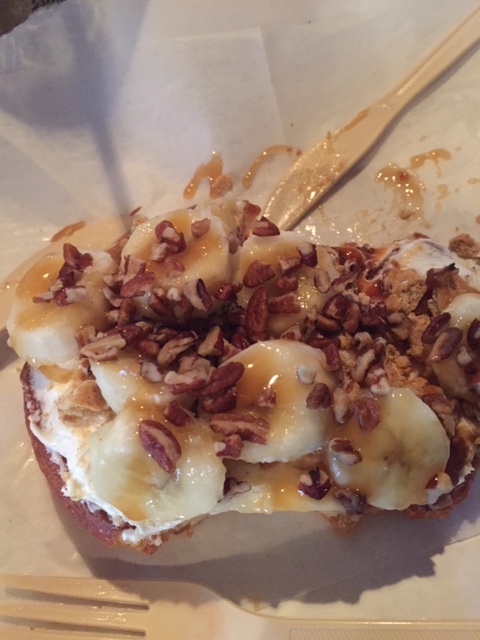 The first donut we ordered came with bananas, cream cheese frosting, caramel sauce, graham crackers, and caramelized pecans. It tasted like the most delicious banana cream pie you’ve ever had. The second donut we ordered was call blue balls – little donut holes infused with blueberries and drenched with a blueberry sauce. My sweet tooth was definitely satisfied after this meal! Four Brothers – Instead of going out to eat on Saturday night, we opted to order in. I found this place on Yelp and decided to go with it and am so glad I did! Everyone got an arepa and a empanada, and both were delicious and so filling. All the girls loved this meal because it was different and something they’ve never had before. Pueblo Viejo – Aekta’s friend Lori and I made the trek out to Pueblo Viejo on Saturday morning because we were both up early and starving! The menu is limited but offers some vegetarian options. The breakfast tacos are so good. You can tell everything is super fresh and very authentic. My favorite taco was filled with beans, potatoes, and cheese. So simple yet so damn good! Stella San Jac – Those of us who were still around on Sunday morning ate here for brunch. The menu is pretty limited but includes all the classic brunch items you’d expect – french toast, biscuits, eggs, hash browns, etc. We ordered biscuits for the table (OMG! ), and then I ordered a classic American plate as my main dish. 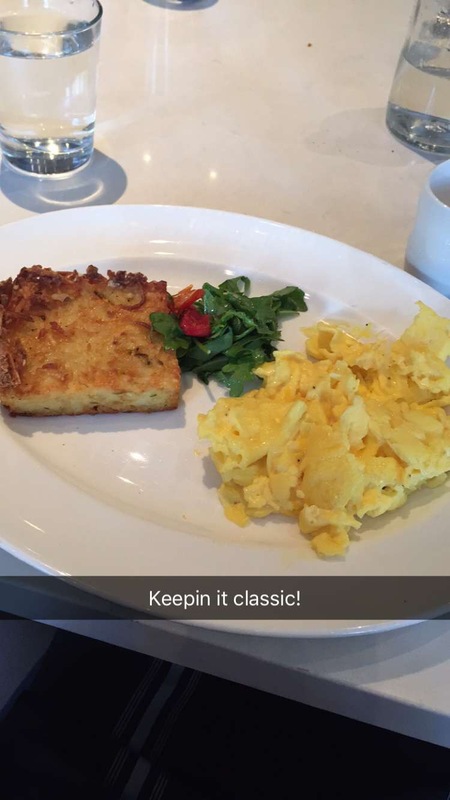 The hash brown casserole that came on the side was nothing short of amazing. I want to try and recreate it at home! Amy’s Ice Cream – I was really hoping we’d make it to the Amy’s Ice Cream shop in the city, but unfortunately, it didn’t work out. I did, however, have a tiny cup at the airport, and it was just as good as I remembered! I got the coffee ice cream and topped it with almonds (for anyone that cares!). Gate 12 is where it’s at, so if you don’t get to try it in the city, get your fill on your way home. Rooftop bars (The Blind Pig and Handlebar) – The weather was beautiful (and a little hot) on Thursday, so we decided to enjoy the warmth on a couple of different rooftop bars. Both had there own vibe (and cheap drinks) and were a ton of fun! In addition to these bars, we also went to Maggie Mae’s and Container Bar over the course of the weekend. 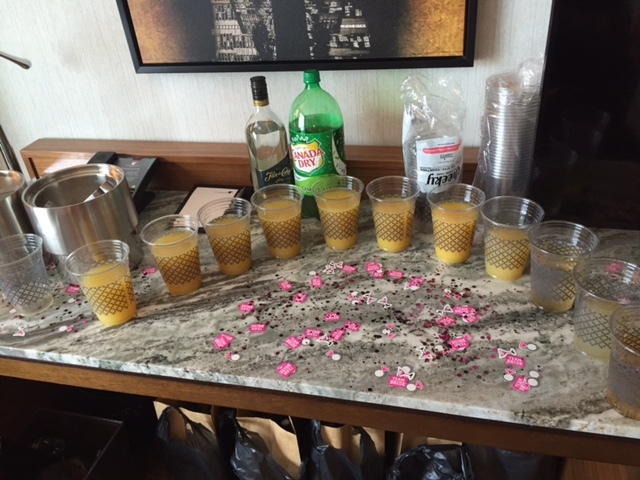 Bridal shower – We threw Aekta a surprise bridal/lingerie shower in the hotel on Friday afternoon. It was so much fun! 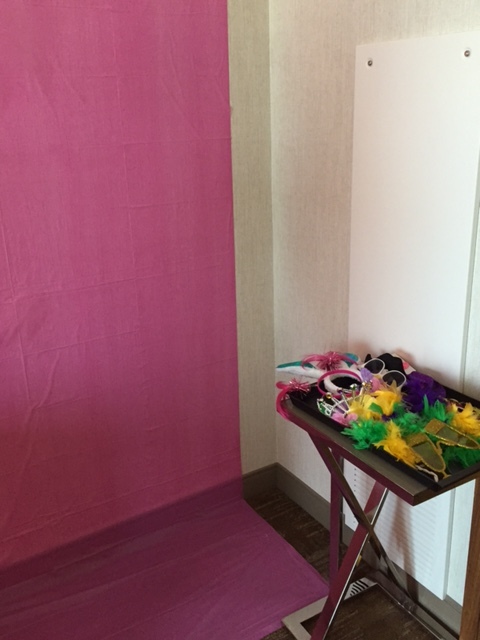 We opened gifts, played games, and took pictures by our homemade photo booth. One of Aekta’s friends came up with the idea! She basically took a pink table cloth and taped it on the wall. She also bought a bunch of different props for us to wear. Genius! 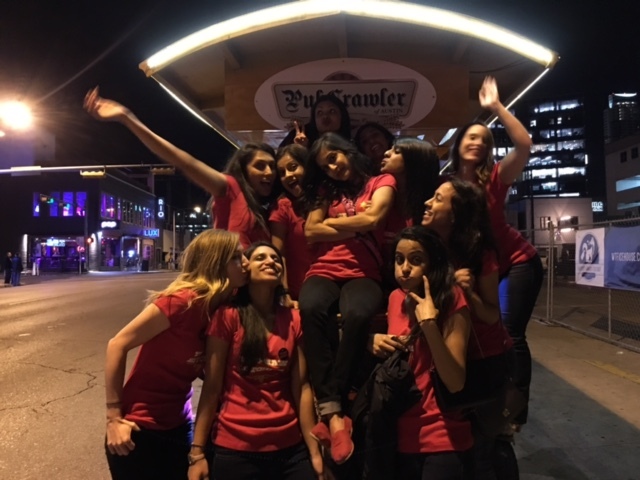 Pubcrawler – After the shower, we went pubcrawled! This was my favorite part of the trip! Basically, we pedaled for two hours as we made our way around Austin, and stopped at a bunch of bars. There was no motor so you only went as fast as you pedaled. 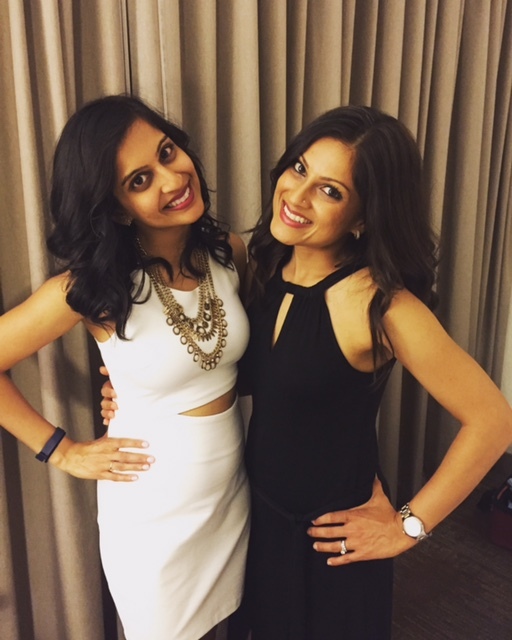 One of Aekta’s friends made an awesome playlist, so we danced and partied while getting a real workout. Best night ever! Brewery Tour at Hops and Grain – On Saturday afternoon, we headed to this brewery for a little tour, some beer action, and board games. It was a low key way to spend a few hours, especially after a couple of crazy nights! The beer was delicious, and for just $10, you got to try four different brews. And that was pretty much our weekend! I can’t even begin to describe how much fun we all had. I definitely felt a wave of sadness hit me as everyone left and made there way home, but then I remembered that the wedding is 2 MONTHS AWAY. Two months from now the craziness will start again! Overall, it was wonderful to get to know Aekta’s friends a bit better, have Roshni there to be silly/crazy with, and just spend quality time with my sissy! 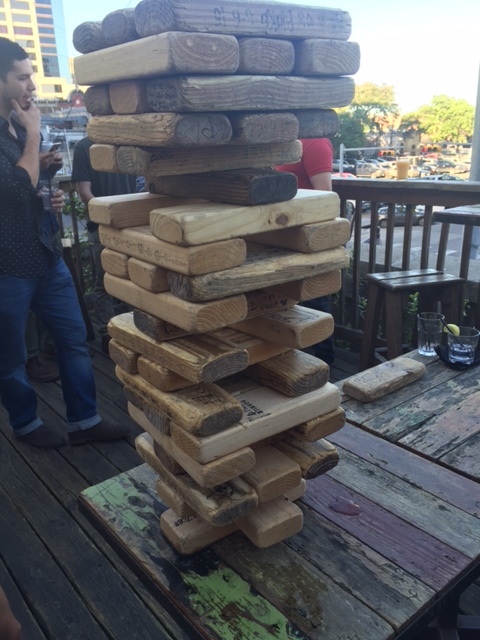 Have you been to Austin before? 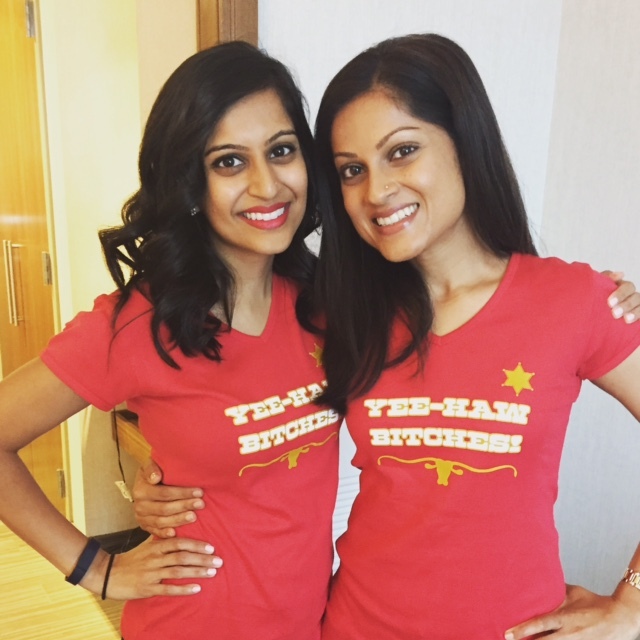 What cities have you visited for bachelorette parties? Where was your bachelorette party (if you’re married of course!)? I’m not going to lie, we went to bed before midnight two of the nights! My bachelorette party was in Savannah! Torchy’s tacos really is the best. I love the unique combos they have for vegetarians. 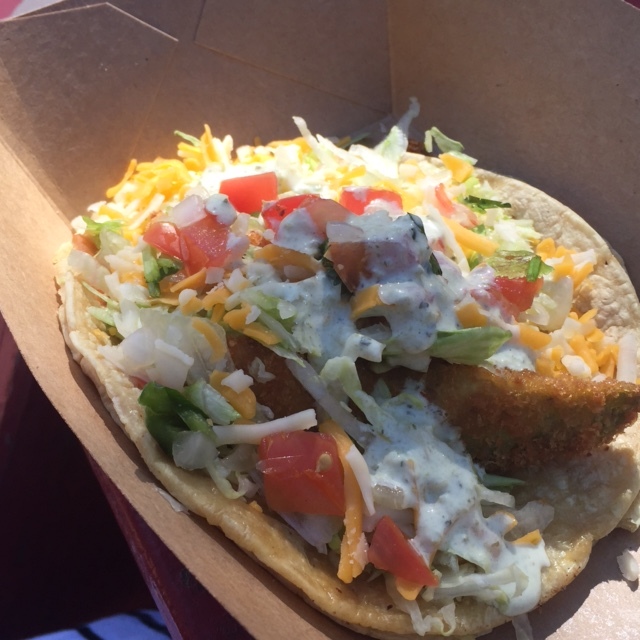 It’s much more exciting than just a black bean taco. Savannah is such a beautiful and fun city! 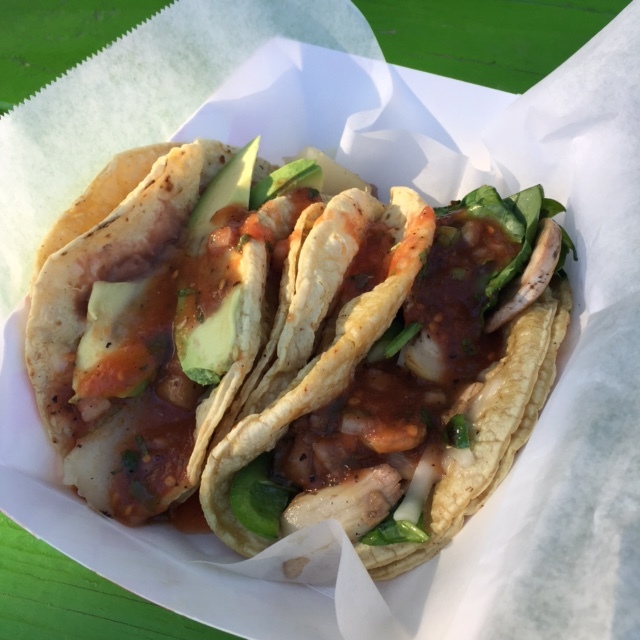 And yes, Torchy’s veggie tacos are amazing! What a fun weekend! It sounds like you guys covered all the bases. 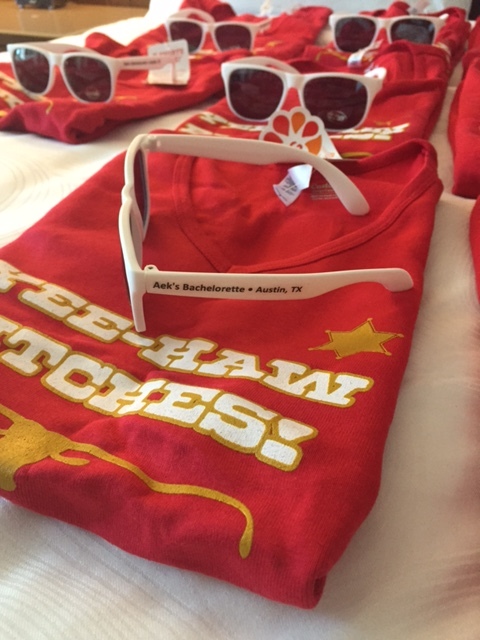 I’ve never been to Austin, but I definitely want to – even more so now! First things first, you and your sister are just stunning! We just got a Torchy’s in Denver and I kind of wrote it off as a chain, but maybe I should give it a shot? Looks like an amazingly successful bachelorette party/trip! Lauren recently posted…Weekend Things: April is here! And YES, please try Torchy’s. Even though it’s become a chain, they do a good job keeping the quality/taste consistent! SO GOOD. It was way too much fun! Oh wow your weekend sounds like a blast – what a way to “send off” Aekta before the big day!! I’m not usually much of a donut person but the banana cream pie donut sounds amazing! And just for the record, salad + dessert = best way to strike a balance ;)! Looks like you had a great time!! 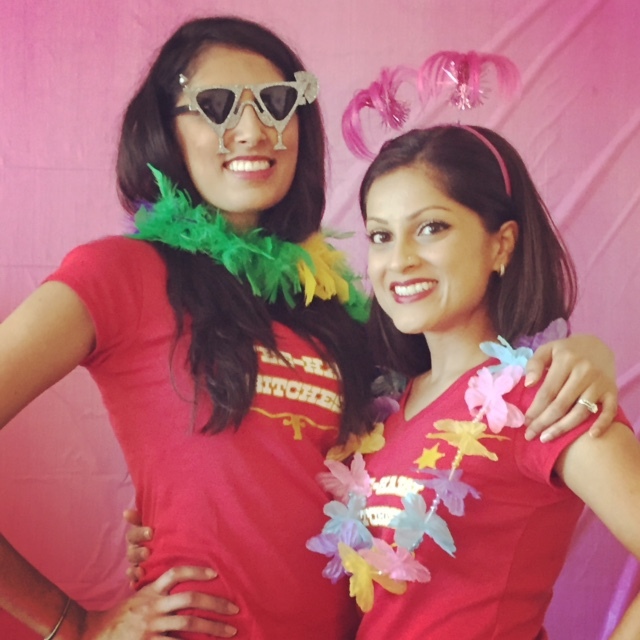 Nisha & I had a joint bachlorette party in Miami !! That pink table cloth back drop is genius, will have to use the idea for my cousins Bach in cancun coming this may!! Such a fun weekend. Congrats to your sis. The last pic of you two is nice – formal and all. Heard great things about Austin.